Vijay Seshadri is 1st Asian American to win Pulitzer Prize in Poetry! 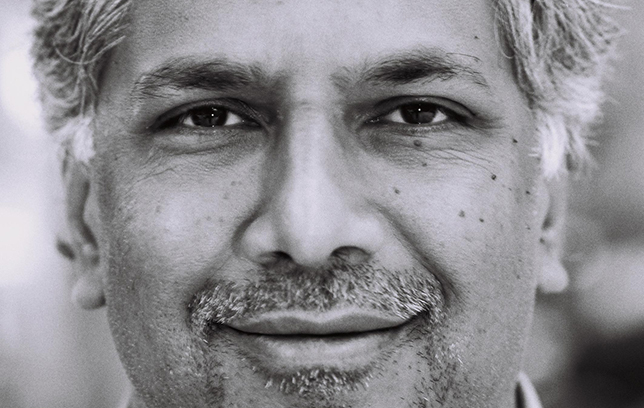 Vijay Seshadri, a Brooklyn-based poet and writer, has become the first Asian American to win a Pulitzer Prize in Poetry, awarded for his book of collected poems, 3 Sections. Seshadri, who was born in Bangalore, immigrated to Columbus, Ohio at the age of five with his family. [3 Sections is] a compelling collection of poems that examine human consciousness, from birth to dementia, in a voice that is by turns witty and grave, compassionate and remorseless. You can purchase 3 Sections from Amazon here. Correction: An earlier version of this post neglected to note that Seshadri is the first to win a Pulitzer in Poetry; Asian Americans have previously won the Pulitzer in other categories. Posted on April 16, 2014 April 16, 2014 Leave a comment on Vijay Seshadri is 1st Asian American to win Pulitzer Prize in Poetry!